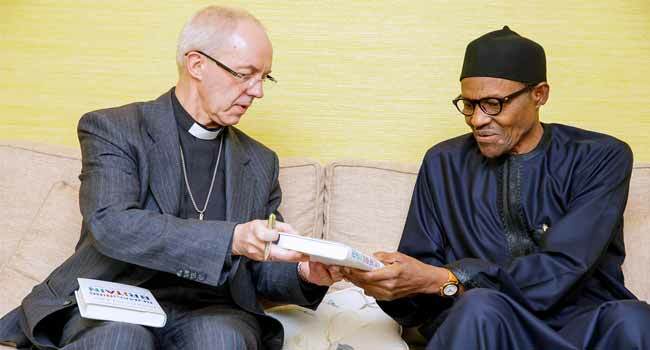 President Muhammadu Buhari on Wednesday met with the Archbishop of Canterbury, the Most Reverend Justin Welby. 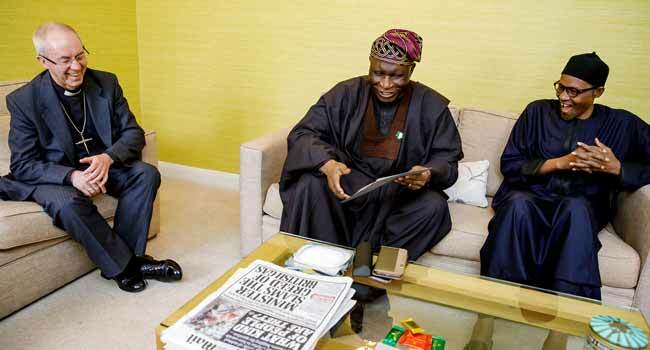 This is part of the scheduled activities of the President’s visit to London, the United Kingdom. 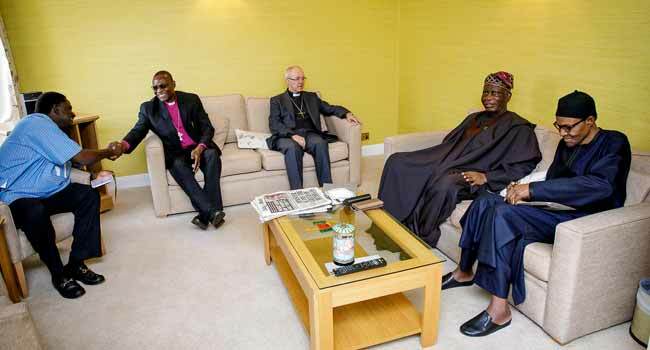 Archbishop Welby is the most Senior Bishop in the Church of England. 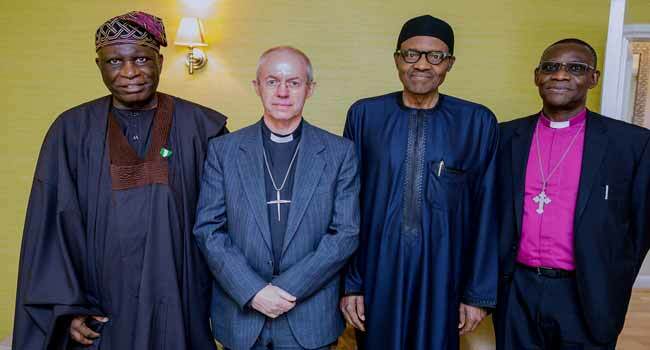 President Buhari met with the Archbishop alongside the High Commission of Nigeria to United Kingdom, George Adesola Oguntade, the Secretary General Worldwide of Anglican Communion Archbishop, Josiah Idowu-Fearon, among others. The President on Monday left Nnamdi Azikiwe International Airport in Abuja London after the National Executive Committee (NEC) meeting of the All Progressives Congress (APC) leadership. This was after he officially declared interest to seek re-election. 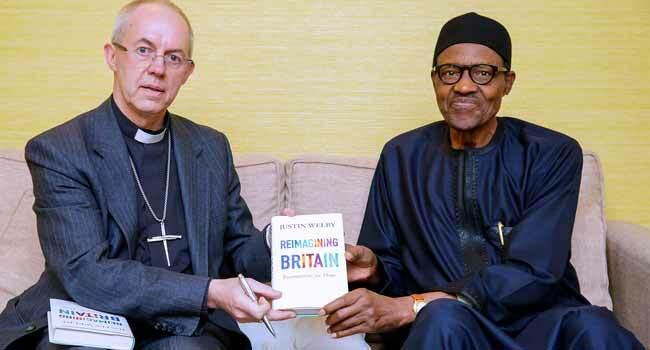 President Buhari, during his visit to the United Kingdom is also expected to hold discussions on Nigeria – British relations with Prime Minister Theresa May prior to the Commonwealth Heads of Government Meetings scheduled for 18th to 20th April, 2018.